Showing results by author "Jongleurs Comedy"
To celebrate 25 Years of Jongleurs Comedy, enjoy the Jongleurs experience with the freshest and funniest comedy acts, recorded live at Jongleurs clubs. Jongleurs Live, Volume 1, features Sean Collins, Mark Maier, Gary Delaney, and Sinck. To celebrate 25 Years of Jongleurs Comedy, enjoy the Jongleurs experience with the freshest and funniest comedy acts, recorded live at Jongleurs clubs. 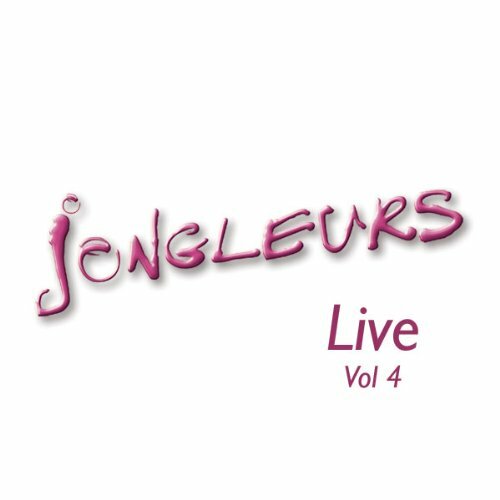 Jongleurs Live, Volume 4, features Michael Legge, Dom Carroll, Johnny Candon, and Steve Hughes. To celebrate 25 Years of Jongleurs Comedy, enjoy the Jongleurs experience with the freshest and funniest comedy acts, recorded live at Jongleurs clubs. Jongleurs Live, Volume 3, features Adam Crow, Tom Stade, Helen Da Silva, and John Fothergill. To celebrate 25 Years of Jongleurs Comedy, enjoy the Jongleurs experience with the freshest and funniest comedy acts, recorded live at Jongleurs clubs. Jongleurs Live, Volume 2, features Matthew Osborn, Marty Wilson, John Ryan, and Tony Gerrard.